At the beach, doing nothing. If you’ve read any of my posts, you know I’m a list-making-goal-setter. 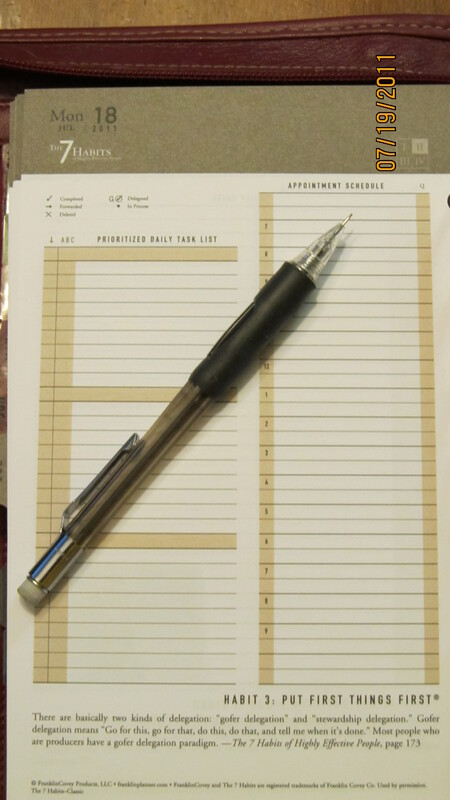 I start every day with a cup of coffee, my day planner, and a mechanical pencil. I carefully break down my daily “to do’s” into three categories: personal, the girls, and household. Rare is the day that I don’t have more list than I do day, which is why the → (“task forward” symbol) often appears in my book as well. I admit, I have a love/hate relationship with this little arrow. Some days, it brings relief, and some days, pressure. Yes, I recognize mine is not a “normal” day planner relationship. But, we work well together. Well, most days. Like any relationship, an occasional break does us good. Even if it causes me mild panic. Yesterday was one of those days. Though, I had awoken yesterday with more energy than I had in days, it lasted under 2 hours. I had enjoyed my coffee, and the page in my planner was still blank. My week was certainly not starting out “as planned.” Regardless of how deep I dug, I couldn’t find the energy to make a second espresso let alone plan my day with any direction. At the end of the day yesterday, I brought my planner over to the couch where I had sat all day. I looked at the blank page, not even so much as a phone message was scribbled down. I took in a very deep breath and did the most productive thing I could do. With one finger, I flipped it closed. I was still at the beach doing nothing…and no one takes a planner to the beach–except maybe me, of course. I need a LIKE button for this one! We had one of these days over the weekend. Hmmmm, I will have to look into that one. Thanks for your comment and the LIKE! I love this, most of all its perfect, touching conclusion. I’ll try to bear this in mind the next time I’m having one of those days where I’m trying to force myself through complex tasks when I can barely keep my head on well enough to remember my own name. Much less frustration is apt to result that way.